1. PLC and touch screen control. 2. Double needles lacing the overhang winding each side simultaneously. 3. 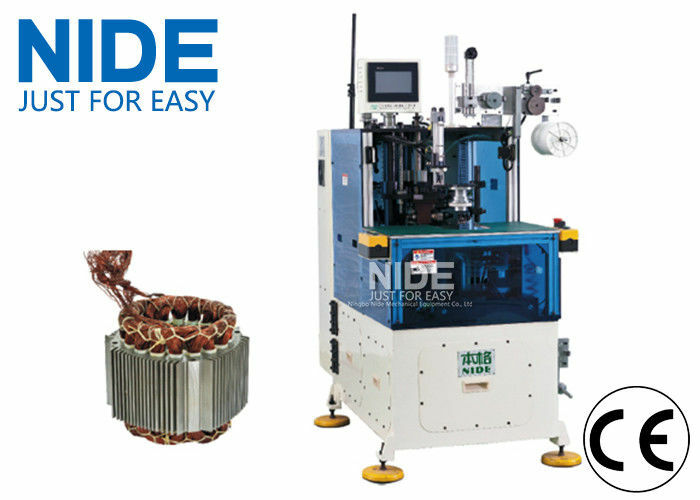 The stator coil lacing machine is characterized by compact appearance, fast speed and low noise. 4. 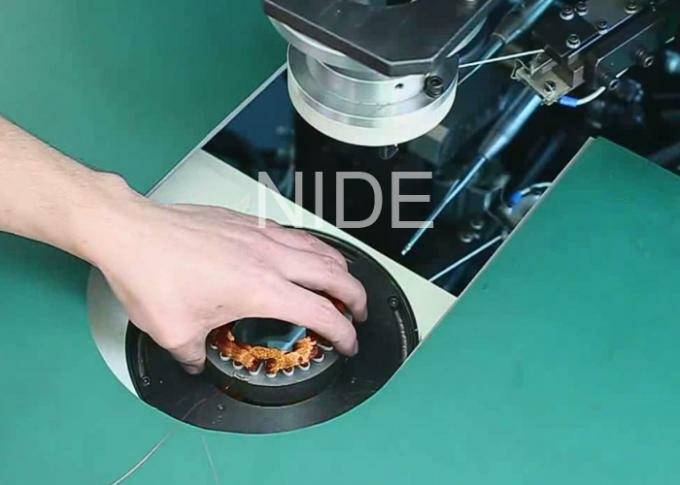 This machine will automatically feeding and cutting and lacing. 5. It is controlled by servo system. Loading stator vertically; equipped with pressing, automatic feeding, automatic cutting device, etc. ; overhang winding adopts twin needle lacing by servo system simultaneously; needle indexing, hooking and stator indexing are controlled by servo system; spindle adopts frequency speed control; slot by slot lacing, interval lacing, and fancy lacing could be achieved by setting in human-machine interface; characterized by compact appearance, fast speed .low noise; simple operation and easy tooling change. Fast speed , low noise; simple operation and easy tooling change, double sides lacing simultaneously. PLC and touch screen control, it’s programmable. It’s suitable for lacing the oven-hang of the induction motor stator. It is used for stator which meets the specification of below.